Been having some good sessions with the guys in Central over the last few weeks. Numbers are OK and we are developing a nice relaxed technical session - with a little bit of fighting thrown. 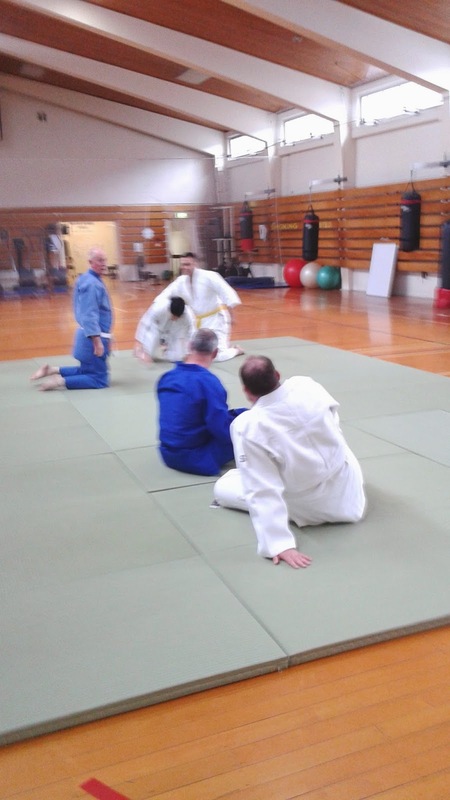 Social Judo for grown ups - nice! The team training. Notice the generally relaxed attitude! 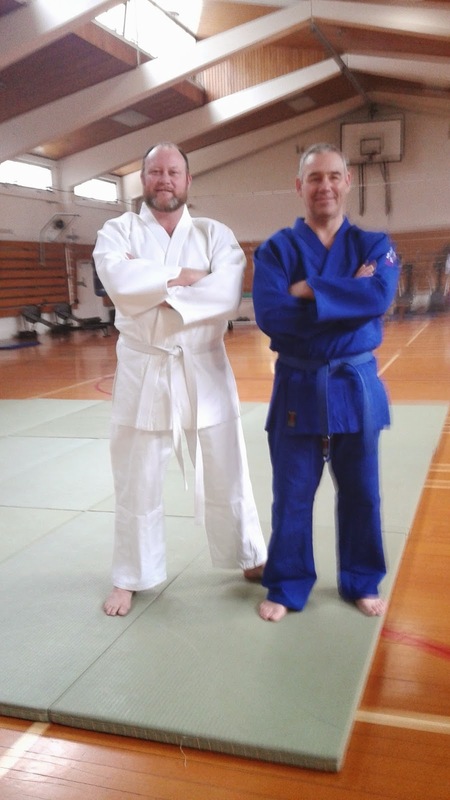 Tony and Trev show off their new Judo suits.